Shares of LinkedIn and Yelp got hit hard after they reported their latest quarterly results. LinkedIn and Yelp have been hot stocks this year. But shares of both companies tumbled Wednesday on concerns about future earnings and worries that the stocks may be overvalued. LinkedIn (LNKD) did beat earnings and sales forecasts for the third quarter. But the stock fell more than 6% after the social media company warned that sales for the fourth quarter would be below forecasts. The company said it expected revenue of $415 to $420 million in the next quarter. Analysts had been expecting sales to reach $439 million. While LinkedIn may just be playing it safe with their outlook, the forecast alarmed investors who have gotten used to strong results every quarter from the company. Shares of LinkedIn have more than doubled this year. The stock trades at a very high valuation of more than 100 times 2014 earnings estimates. 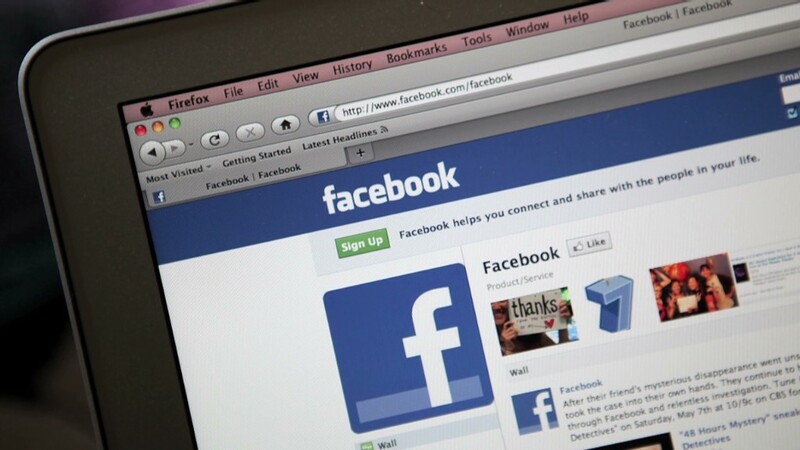 By way of comparison, rival social media firm Facebook (FB), which will report earnings after the closing bell Wednesday, trades at 49 times 2014 earnings estimates. That is obviously expensive as well. But analysts at Sterne Agee wrote in a report after LinkedIn's earnings that LinkedIn has a "significant premium" to its peers and that much of the enthusiasm about the company is already factored into LinkedIn's stock price. LinkedIn does have a lot going for it. The company is profitable and growing rapidly. But some analysts worry that the company could stumble if the U.S. economy loses momentum. The company depends on advertising dollars as well as users willing to pay for premium services to help them find jobs and stay connected with other business professionals. The same goes for Yelp Inc (YELP), a local business reviewing social site that could also suffer if nervous consumers are less willing to search for restaurants and local merchants. But Yelp faces some problems that LinkedIn does not have to worry about. 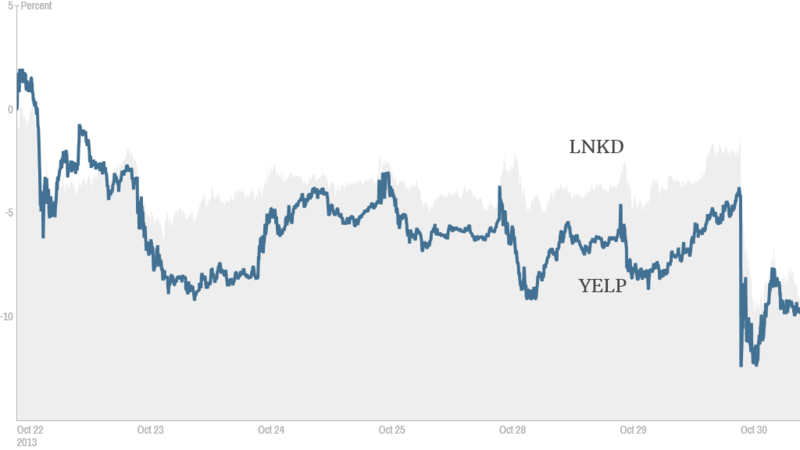 Shares of Yelp tumbled 6% after the company reported a wider-than-expected loss. The company also said it plans to sell more stock, which often worries shareholders since new shares dilute the value of their existing investment. Yelp's stock has soared more than 240% this year despite concerns about growing competition from the likes of Facebook and Google (GOOG). Nonetheless, Yelp is promising additions to its service to attract more users. Yelp recently purchased SeatMe, which will let people make reservations at businesses on the site. That's a feature offered by rival OpenTable (OPEN). Yelp also announced an offering to let businesses serve customers online via "Yelp Platform." Analysts at Jefferies are hopeful that the new features will make it easier for Yelp to generate more advertising revenue. The analysts wrote in a report that they are a "low cost way" for Yelp to make more money from its "large and growing traffic to its properties." But investors learned the hard way Wednesday that when a stock price goes up as dramatically as LinkedIn and Yelp have, it's tough to live up to the considerable expectations and hype.